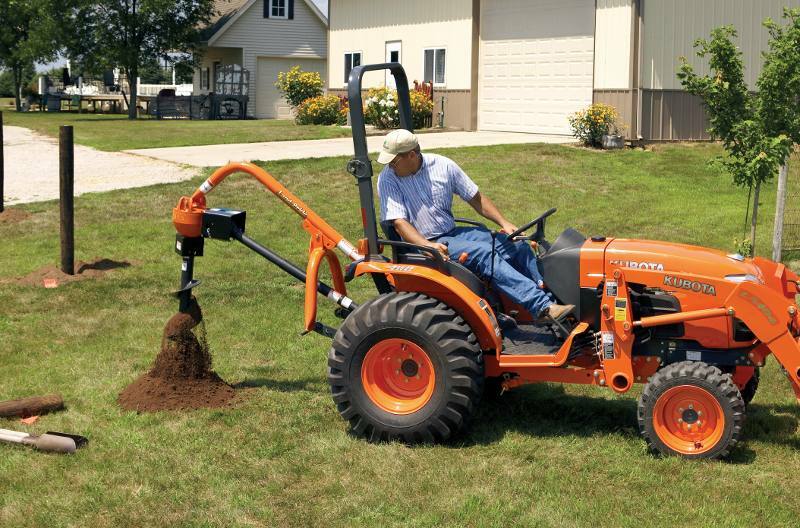 2018 Land Pride PD15 for sale in Norfolk, NE. Dinkel Implement Co. The PD15 Series Post Hole Diggers are designed for Category 1 three-point attachment, offers a 48" auger length and a choice of 6", 9", or 12" auger flights with cast steel fishtail tips. 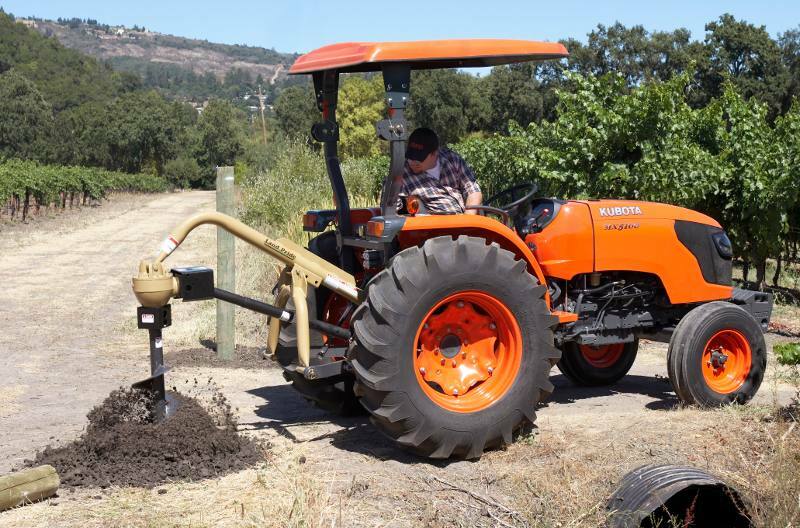 Landscapers, rental yards, contractors, farmers, ranchers, and homeowner will find that the PD15 meets their general duty needs and applications. 2 7/8” Yoke tubing: 3/16” Wall thickness for strength. Auger flighting: 1/4” Flighting, Semi-double flight. Replaceable hardened steel points on auger: Hardened points will last longer than non-hardened. Points can easily be replaced when worn or damaged. Cast steel auger fishtail tips. 2” Output shaft: 2” tackles the torque loads that can be transmitted from hard ground. Fairly standard size for the industry, fits many competitive augers. Down pressure kit (optional): Allows additional force to be supplied, hydraulically, to the beam to help force digger into the ground. 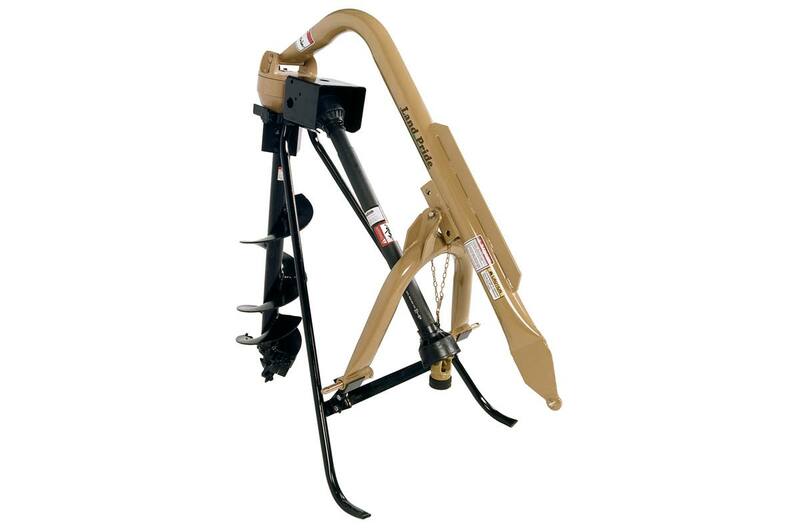 Alignment handle (optional): Helps guide the auger from the tractor seat. Post Hole Digger stand (optional): Bracket mounted to bottom of gearbox can incorporate a Post Hole Digger stand. This allows operator to hook up and unhook from tractor more safely. Stand supports unit and will store unit when it is not on the tractor. Weight Without Auger: 161 lbs. Auger Flight Thickness: 1/4 in. Boom Tube: 2 7/8 in. O.D. Yoke Tube: 2 7/8 in. O.D. Auger Sizes (Options): 6", 9", or 12"
6, 9, or 12 in.